To get started, you will need the Python interpreter or a Python IDE. An IDE is a tool that will make the experience of software development much better. Python programs are simply a collection of text files. If you want something more sophisticated than notepad for editing, you will need a Python IDEs (recommend). 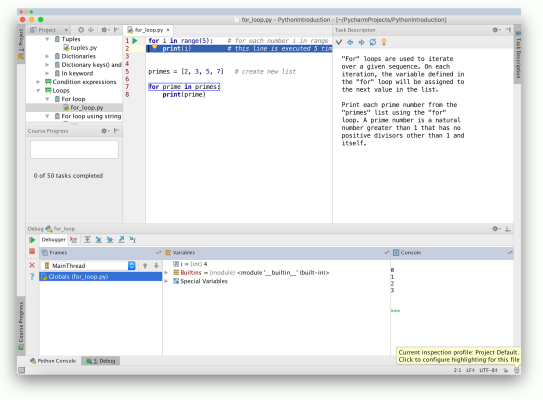 A Python IDE will make programming Python easier. The Python interpreter is a command line program, we’ll discuss it in the next lecture. An IDE generally supports listing all program files, syntax highlighting and other features. There are lots of Python IDEs you could choose from.